Traditional bookshops in China are poised for a revival after support from e-commerce giant JD.com. The country's largest retailer has its own significant online book business, but the company also provides solutions for book procurement, logistics and technology to 49 offline book stores. 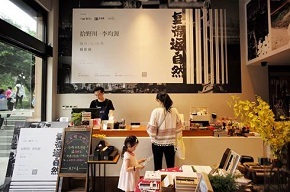 The company is helping to modernise supply chains and increase sales for the offline stores, including Tangning Books, a bookshop in Guangzhou with two locations, which managed dealing with more than 60 book suppliers before partnering with JD in May last year. Since then, the companies have worked together to source all the books from JD.com's inventory, with replenishment services from JD's in-house logistics network every week, significantly saving on labour costs and delivery delays. Sales grew 30% from May to the end of December in 2017, and profits grew 17% over the same period. Since the partnership began, Tangning Books has reduced stock turnover to 220 days from over a year. Using JD's data analysis capabilities, the shop now also has insight about customer buying behaviors, and chooses book assortments tailored to its customer base, leading to more sales. Ningxin Lu, founder of Tangning Books, said: "Without the help of JD's technology and supply chain expertise, our business would have no competitive advantage in the traditional mode. Now with the backing of e-commerce technology, we see a bright future for the offline book business." Tangning Books customers can scan QR codes for books they can't find in store to have the books delivered within 24 hours from JD.com's inventory, to create an 'endless aisle' of choices for customers.